The beauty of using automatic scanner is that all the sophisticated chart analysis will be done automatically with very small efforts from yourself. Even just some years back, many traders drew the patterns in their chart manually. 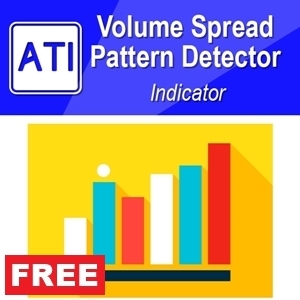 Can you imagine that how tough it is to draw the same patterns detected by Price Breakout Pattern Scanner and Harmonic Pattern Plus by your hands? Even if you know how to draw them manually, it is still painful process. What about the speed of drawing manually? Well, it will take quite a lot of time for traders to draw all these patterns detected from several timeframes manually. With this lengthy drawing time, you will miss all the right opportunities to trade. 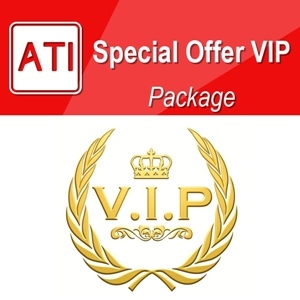 With our products, you could do sophisticated pattern analysis in few button clicks in fully automatic manner. You will be able to view all the patterns detected across different timeframe in a single glance. Indeed, our software will really work hard for you to help you to win in your trading. From Price Breakout Pattern Scanner version 6.6 and Harmonic Pattern Plus version 9.2 (and Harmonic Pattern Scenario Planner version 9.2), you can apply these pattern scanners for multiple timeframe in single chart. The idea behind the multiple timeframe Pattern Analysis is simple. Firstly, you can get the idea of what is going on from different timeframe. Secondly, you can quickly find out how the events happening in higher and lower timeframe affect your current trading decision. With multiple timeframe pattern analysis, you are full control of your trading decision outside single timeframe or your chart and you are rich of information. You will likely to make less mistake for your trading. For illustration purpose, for example, we have the Bearish harmonic Pattern formed in H4 timeframe. The entry for EURUSD was fine making profit from EURUSD fall but soon we have triangle pattern formed in H1 timeframe. EURUSD start to bounce upwards from the edge of the triangle. Now after you have some profit from your entry with harmonic pattern, you can decide to exit your position with profit or keep hold on your position with this new information on your hands. This is one illustration only among many different scenario in multiple timeframe pattern analysis. Another useful example is this one. Here you have three signs of bearish reversal movement on USDJPY. Rising Wedge in H1 timeframe and another big rising wedge in H4 timeframe and Harmonic Pattern in D1 timeframe. Ok, USDJPY must go down with three bearish signs like this. For setup like this, if we are not 100% sure to win, then at least we are on highly likely to win. With signs like this, we will advise to go ahead and make profits. We have many good trading examples like this but we will get down to the technical side on how to apply our Price Breakout Pattern Scanner and Harmonic Pattern Plus for multiple Timeframe Analysis in this article. Some of our other tools like Turning point detector or Mean Reversion Supply Demand will provide multiple timeframe analysis capability in single chart too. 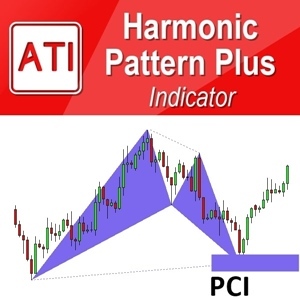 In this document, we will provide the guidance for Price Breakout Pattern Scanner and Harmonic Pattern Plus only since they are more sophisticated than other tools. Firstly, open Meta Trader 4 or Meta Trader 5 in your computer. Open EURUSD chart 1 hour for example. You will see some empty chart like this. We will use H1 timeframe chart for this demonstration. You can use M15, M5, or any chart you wish. However, please note that you can use calculation timeframe (i.e. the timeframe the pattern will be detected.) greater than your chart timeframe. If your chart timeframe is H1, then later you can apply H1, H4 or D1 calculation timeframe to detect pattern from those timeframe. You can not apply M15 calculation timeframe to H1 chart since you can’t draw M15 pattern in H1 timeframe. Once you have understood this, and then go to next step. Choose Price Breakout Pattern Scanner from your Navigator. Click on Attach Chart. Now in the inputs tab, choose 1 hour (H1) for timeframe to detect Patterns. Then click OK button below. Now you will see the Buttons for Price Breakout Pattern Scanner. Therefore, we have applied one Price Breakout Pattern Scanner to H1 EURUSD Chart. Next, we will add second one. Again, go to your Price Breakout Pattern Scanner on your Navigator. Attach the Price Breakout Pattern Scanner to the same chart. In this time, we will use 4 hour (H4) timeframe for pattern detection. Therefore, do it the same like the screenshot below. One more thing to do. To apply multiple timeframe analysis we have to change the location of the buttons too. Otherwise, you will only see one set of buttons in your charts. To change the location of the buttons, go to Button Coordinate Y input. Change it to 80 from 60. This means that you will lower your buttons by 20 pixels below your first button set. If your button height is 30, then you should lower your buttons set by 30 pixels. If you see the buttons located together nicely, then you are doing it correctly. Do the same for D1 and W1 timeframe. Now 4 Price Breakout Pattern Scanner are running at the same time. They will update you with any patterns detected from H1, H4, D1 and W1 timeframe in your chart. Ok, now let us do the same for Harmonic Pattern Plus too. Go to Navigator and attach Harmonic Pattern Plus to the same chart. Since we are using H1 EURUSD chart, your lowest timeframe to detect pattern with Harmonic Pattern Plus is H1. Therefore, we will start with H1 timeframe. To avoid the pattern colour conflicting between price breakout pattern scanner and harmonic pattern plus, we will give different colour to bullish and bearish colour to harmonic pattern plus. For bullish, we will use Aqua. For Bearish, we will use Orange Red. Also switch off PRZ option too since PRZ option can fill your chart with too many lines. Just set Use Potential Reversal Zone to false. Ok everything is done. Click Ok button. Now you can see the buttons for Harmonic Pattern Plus are located next to Price Breakout Pattern Scanner buttons nicely. We will do the same for H4 timeframe. Once again, we need to locate our button set for H4 timeframe below the button set for H1 timeframe. So find Button Coordinate Y input. Set the value to 80. This means that you will locate the buttons set below 20 pixels. If your button height is 30 pixels, then you should locate the buttons below 30 pixels. Also, change the Bullish and Bearish Colour to Aqua and Orange Red respectively too like before. Switch off PRZ option too. Click Ok button. Now you will see that buttons for the Price Breakout Pattern Scanner and Harmonic Pattern Plus are nicely located together. Do the same for D1 timeframe. For Harmonic Pattern Plus, we recommend to use up do D1 timeframe since weekly timeframe might not have enough data to calculate patterns. So finally, you will have your chart look like this. Now in your H1 EURUSD chart, 7 scanners are running at the same time to bring all the latest information from different timeframe. You will find that this is very powerful trading setup enabling you to view all the essential information from different timeframes. It might be painful to repeat the same steps for each chart. There is simply better way of handling this repetitive task. That is to use template. In your chart, right mouse click. Go to template menu. Click Save Template Menu. For your template, give some sensible name like “Multiple timeframe Pattern Analysis”. In fact, you can name to anything you want for sure. Just use some name you can find readily in the future. Ok let us do test drive on our “Multiple Timeframe Pattern Analysis” template. Open USDCAD chart for H1 timeframe. Click on “Load Template” button. Choose “Multiple Timeframe Pattern Analysis” template. Click Ok button. Since we are loading 7 scanner at the same time, This may take some time to be loaded in your chart. Description over the buttons are like below. •Lock Button: Lock the pattern you want to trade. This action will keep your chosen pattern in your chart for long time for your future reference. This is useful feature if you are worrying about repainting the patterns. • << Button: Show previous pattern. Therefore, you can test your trading ideas and strategy over historical patterns. • >> Button: Show next pattern. •H1 Button: Recalculate Scanner again. 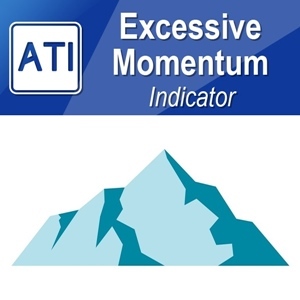 If you found the chart is stuck due to some MT4/MT5 terminal activities, then press this button. MT4/MT5 does get slow when it is loading the data or doing some other internal activities. •G Button: Call Guided Trading Instruction. •B Button: Remove or shows buttons from your charts. This feature helps you to increase some visible space in your chart. Click B button again to show the buttons again. More scanners you attached on your chart, you will be loaded with more information. If you have found that it is too much information to digest for you, then you can always use the sensible number of scanners in your chart. For example, you can use 2 x Price Breakout Pattern Scanner and 2 x Harmonic Pattern Plus according to your preference. Below screenshot show 2 x Price Breakout Pattern Scanner and 2 x Harmonic Pattern Plus. Or another way is to move some pattern backwards using “<<” buttons. For example, moving daily and weekly pattern backwards, you can get the same screenshot as below. However, once you have experience the power of multiple timeframe pattern analysis, you will like to stick with all the timeframe we have recommend to you in this article. Take your time to get familiar with this pattern analysis. You will be gradually improving your skills to read more complex charts with many patterns.